ISTE 2013 is coming! After the fun Linda (Los Angeles) and Kathleen (Australia) had meeting and presenting together at ISTE 2012, they’re applying to do it again in 2013. 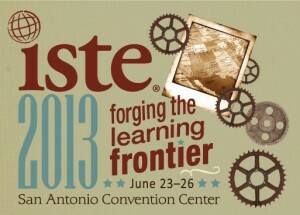 ISTE will be held in San Antonio, Texas in 2013. Click here to find out more. 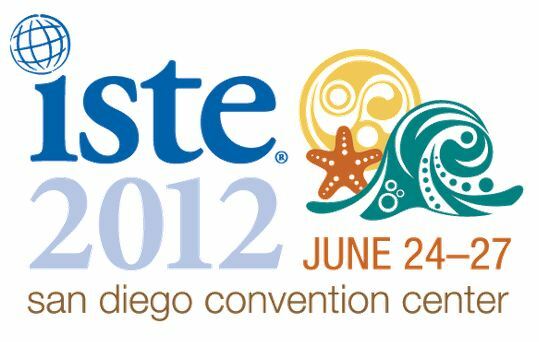 Join Linda Yollis (Los Angeles, USA) and Kathleen Morris (Victoria, Australia) as they present on educational blogging and global collaboration at ISTE 2012. Their presentation will be held on Wednesday 27th June at 8:30am in Room 25C. Click here to find more information about their session. Linda and Kathleen are both passionate about integrating technology in the classroom and have been heavily involved in educational blogging since 2008. In early 2009, Linda came across Kathleen’s class blog and from just one comment a rewarding friendship and collaborative adventure began. The unique connection has now spanned over four years and connected eight different cohorts of students. Throughout this time the classes have moved from isolated to integrated, irregular to frequent, and from the superficial to rich global collaboration. Despite being physically positioned in opposite hemispheres, Mrs. Yollis’ class and 4KM (formerly 2KM) connect each week via blogs, Skype, and other online tools. The two classes have worked on many collaborative projects together, some of which have included other classes around the world. In 2011, two students from Kathleen’s class visited the United States and spent some time with Linda’s class. Other students and parents have formed special friendships and have connected via their own student learning blogs. Parents actively participate in the collaboration and establish their own benefits and rewards. This blog is to support the presentation by Linda Yollis and Kathleen Morris at ISTE 2013 in San Antonio, Texas in June, 2013.